The pancreaticobiliary junction is a complex structure composed of the biliary and pancreatic ducts, which pass through the wall of the duodenum and lead to the ampulla of Vater, which is itself surrounded by sphincter of Oddi. The sphincter of Oddi, the regulator of biliary and pancreatic drainage that allows for intermittent biliary drainage, originates separately from the duodenal musculature and the periductal mesenchyme and later becomes incorporated into the duodenal wall. Although the sphincter of Oddi prevents the reflux of pancreatic and/or bile juice, pancreaticobiliary reflux (the reflux of pancreatic juice into the bile duct) (PBR) and/or biliopancreatic reflux (the reflux of bile juice into the pancreatic duct) (BPR) occurs when the functioning of the sphincter of Oddi is impaired. PBR and/or BPR generally occur as a phenomenon resulting from pancreaticobiliary maljunction (PBM), a condition wherein the main pancreatic duct joins the common bile duct outside the duodenal wall and the sphincter system is absent. PBM is an important anatomical finding because many studies have revealed that biliary malignancies are related due to the carcinogenetic effect of the pancreatic back flow on the biliary mucosa. 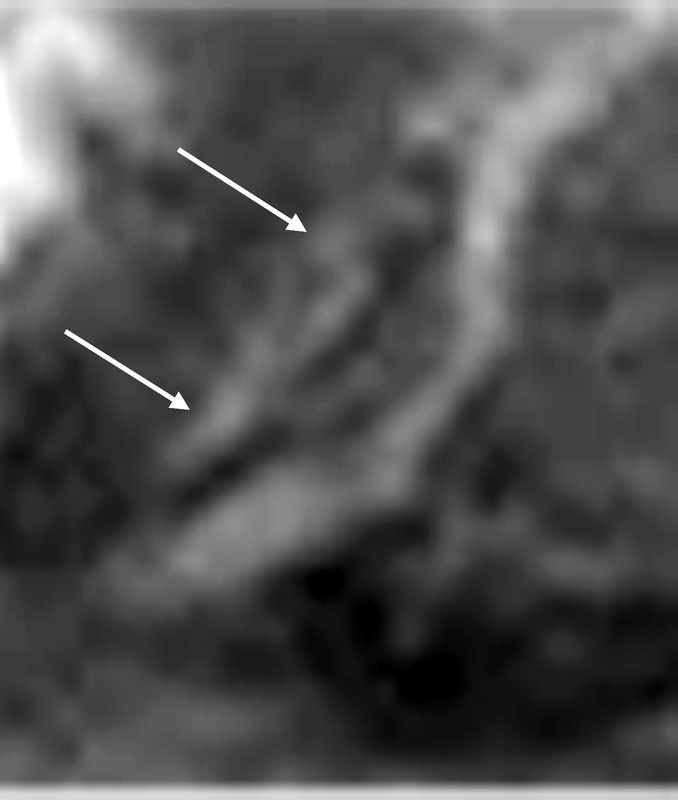 PBM can be detected with many modalities such as endoscopic retrograde cholangiography (ERCP), endoscopic ultrasonography (EUS), computed tomography and magnetic resonance cholangiopancreatography (MRCP) because PBM present morphological abnormalities. Fig. 1. Common bile duct carcinoma without PBM. MRCP image shows the irregular wall throughout the entire common bile duct, with bile duct carcinoma revealed by biopsy. During ERCP, amylase level was measured in the bile. The amylase level in the collected bile was 1415 IU/L, higher than the upper limit of serum amylase of 130 IU/L. On the other hand, PBR and/or BPR in patients without PBM has become increasingly recognized, and the correlation of such cases with biliary or pancreatic diseases, especially malignancies, is drawing considerable attention. This may be due to a number of reasons: dysfunction of the sphincter of Oddi, periamupullary diverticula, endoscopic sphincterotomy, and endoscopic papillary balloon dilatation. Of these, most cases of PBR without PBM seem to be caused by dysfunction of the sphincter of Oddi. Diagnosis of PBR and/or BPR without PBM is difficult because it has no morphological abnormalities. The diagnosis of PBR without PBM has been mainly based on the presence of an elevated amylase level in bile samples collected via a T-tube inserted directly into the common bile duct, or during ERCP. Another method used MRCP with secretin injection, which aids diagnosis by inferring pancreatic juice movement due to the change in bile duct and gallbladder caliber before and after injection. 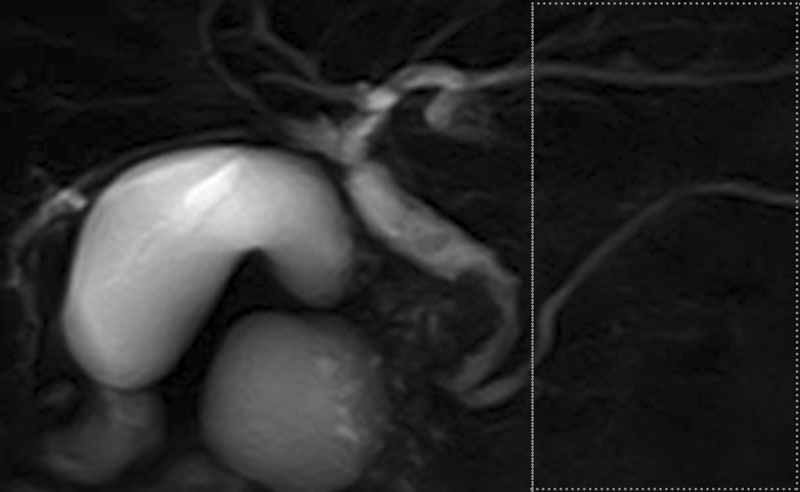 Similarly, the diagnosis of BPR without PBM has been based on the reflux of contrast medium into the pancreatic duct through an indwelling T-tube cholangiography or drip infusion cholangiography computed tomography (DIC-CT). Fig. 2. Labeled pancreatic juice in the main pancreatic duct refluxing into the common bile duct. Recently, a new magnetic resonance-based method (time-SLIP) has been developed for direct visualization of pancreatic and bile juice flow. Initially, this technique allowed examination of blood flow in vessels to a region of interest. This technique could make it possible to visualize pancreatic and bile juice flow and evaluate various pancreatico-biliary diseases based on this information. This new technique allows us to visualize PBR and/or BPR without PBM noninvasively using MRI. This technique, using the pancreatic juice itself as an intrinsic imaging agent, allows examination of pancreatic juice movement under natural conditions. In addition, this technique is not time-consumption. Accordingly, the method can be easily adopted as a routine MRI examination. Therefore, MRI combined with this technique may be a suitable screening tool for PBR and/or BPR without PBM. This new technique would be expected as a promising method to solve how PBR and/or BPR without PBM is relevant to various biliary and pancreatic diseases including malignancies. Reply to “Biliopancreatic Reflux Shown on Gadoxetic Acid-Enhanced MRI”.